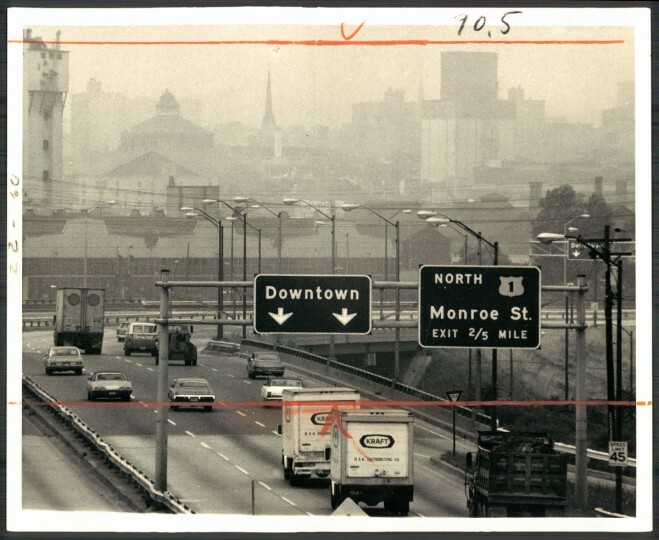 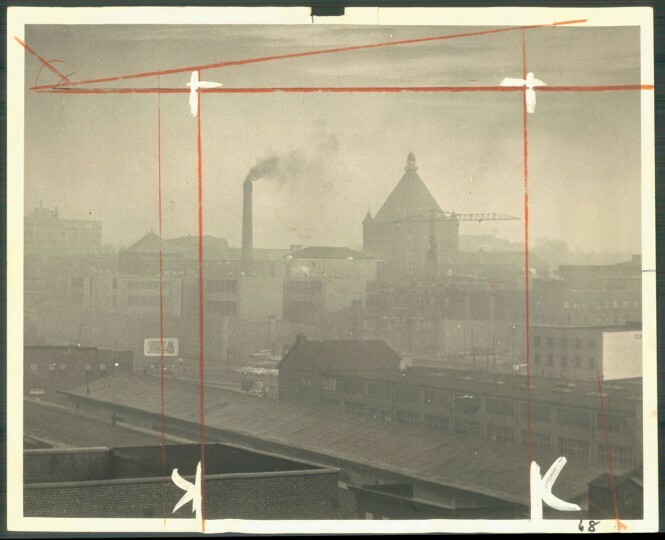 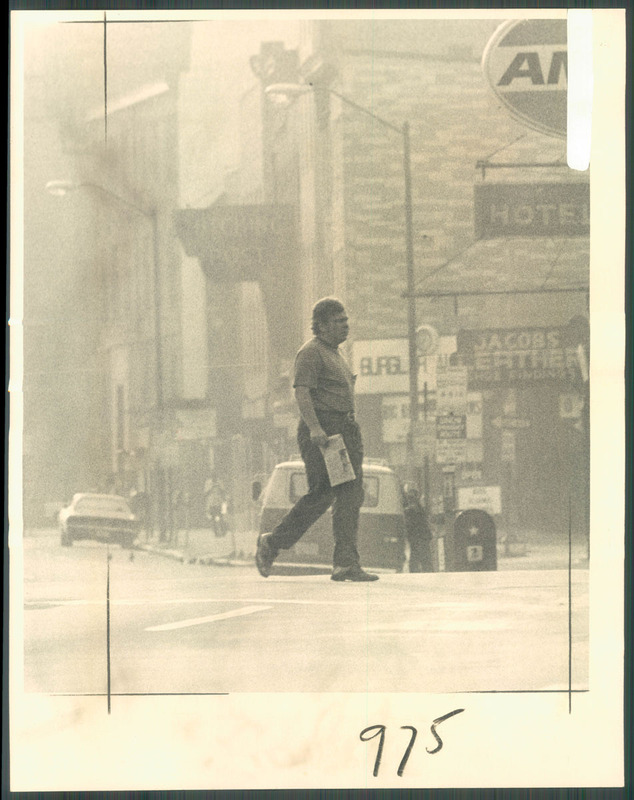 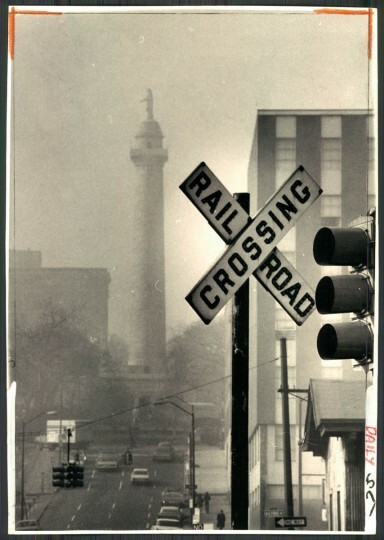 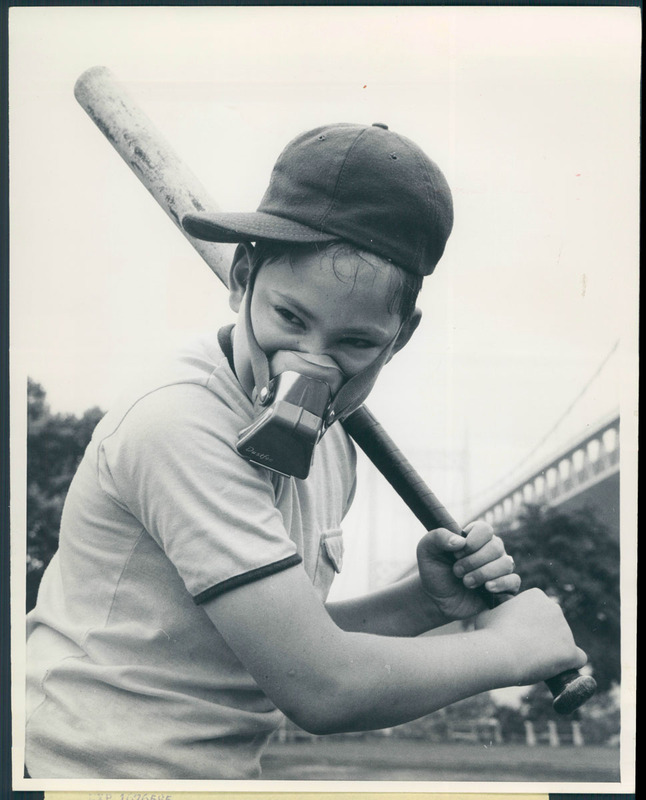 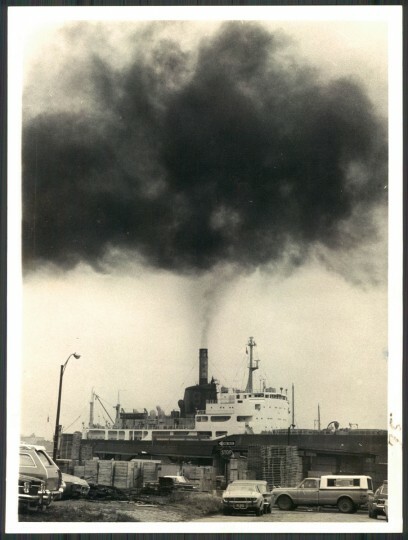 “Although downtown Baltimore appears shrouded in smog, pollution was not serious enough yesterday for the National Weather Service to issue an air pollution alert,” read the caption from this Baltimore Sun photo dated July 10, 1973. The city was burning. 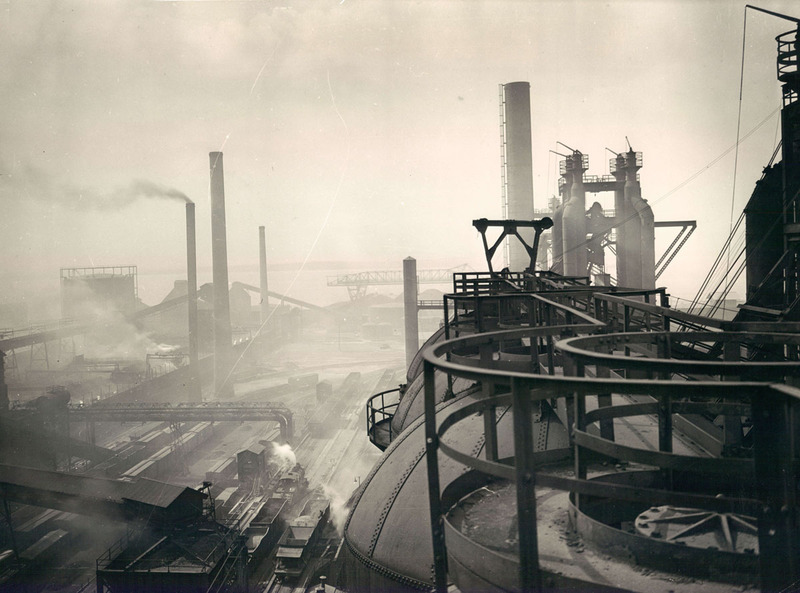 Everything from trash to coal to leaves was set on fire, sometimes in furnaces, perhaps in an open pit. 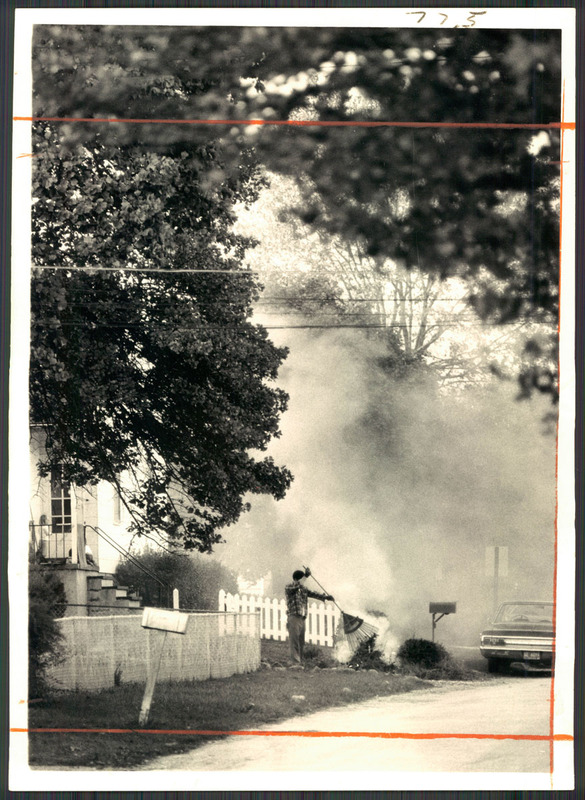 “Even the automobile, which is a highly inefficient burner throughout its lifetime, all too often ends up itself in flames when it is discarded,” James D. Dilts wrote for The Sun in 1967. 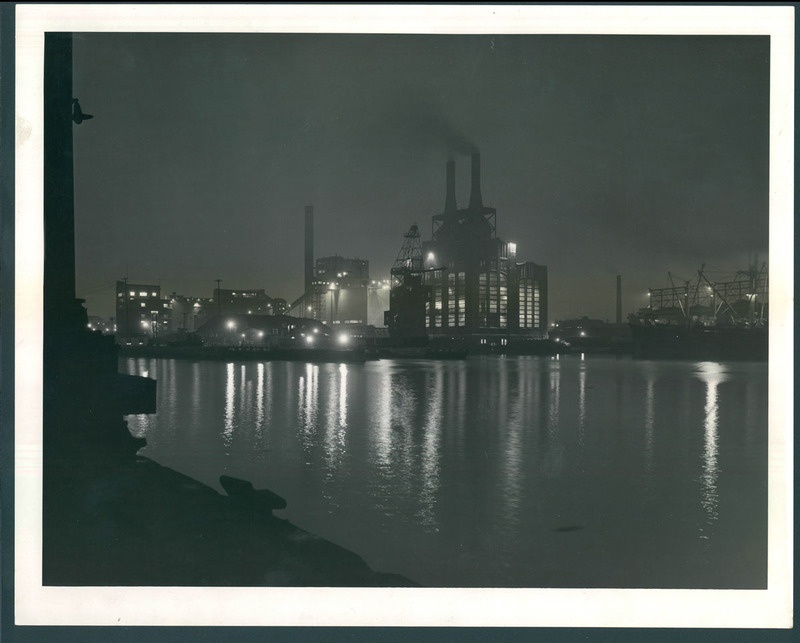 That year, Baltimore had the second dirtiest air in the country. On a hot summer afternoon, you might hardly make out the Washington Monument through the haze. 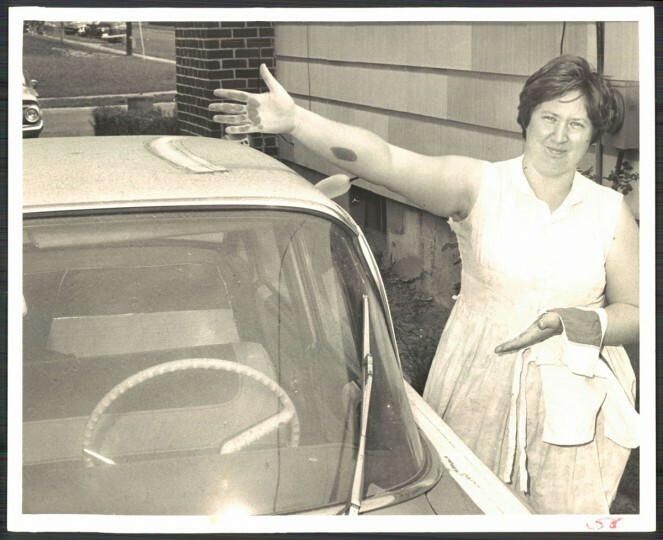 The next morning, a film of soot could be covering your car. 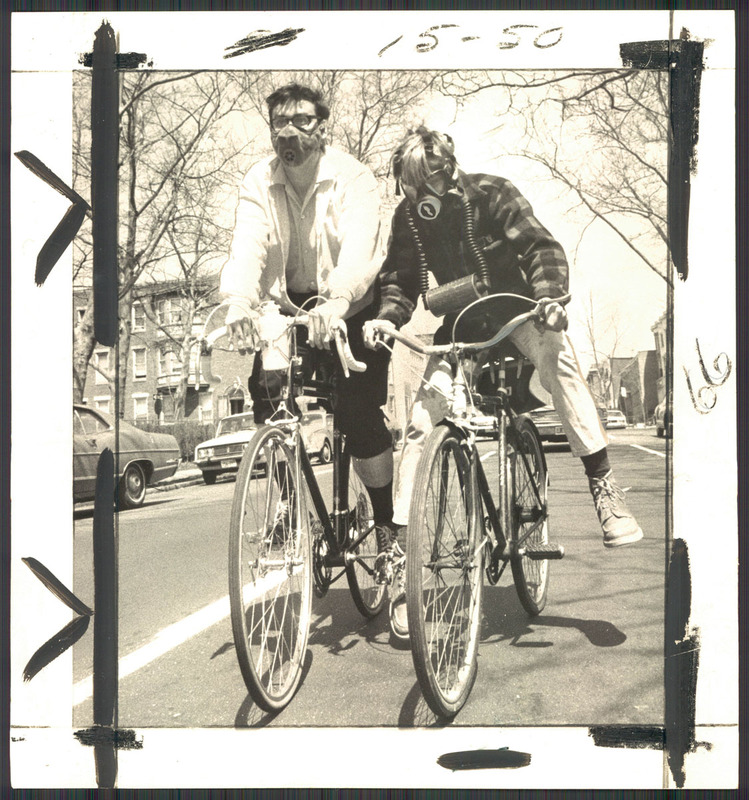 The majority of the pollution came from two companies, labeled the “big dirties” in a 1970 Sun article. 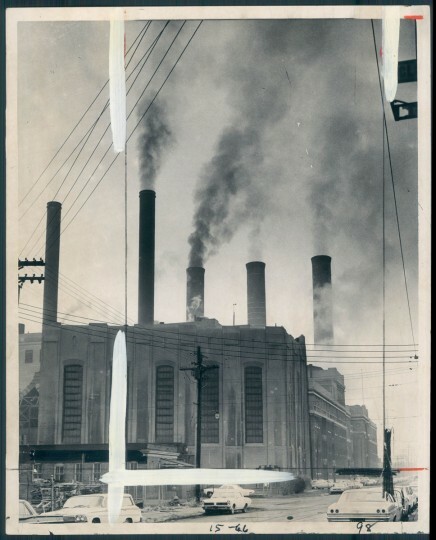 They were Baltimore Gas & Electric and Bethlehem Steel, each spewing over 100,000 tons of particles in the air annually. 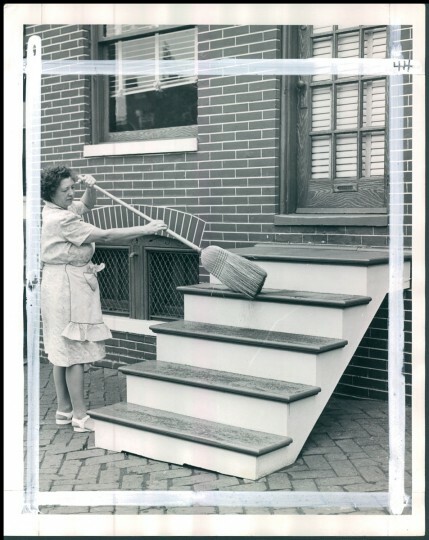 That would soon change, at least to a degree. 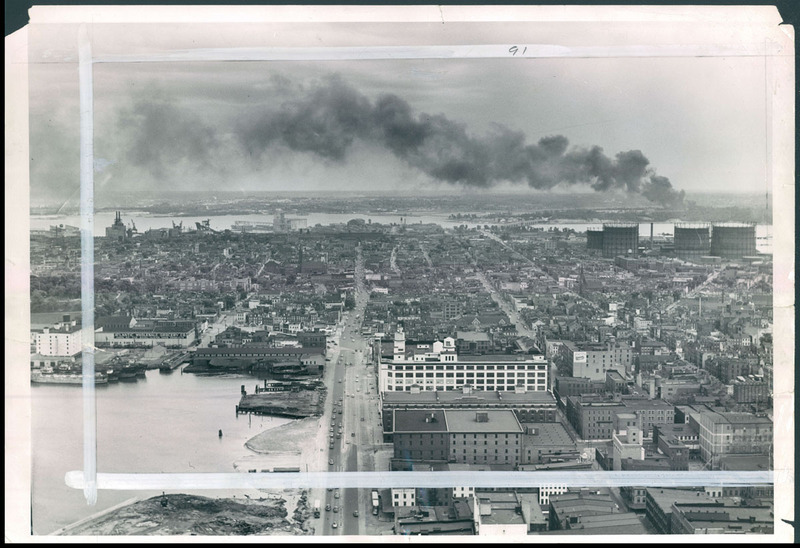 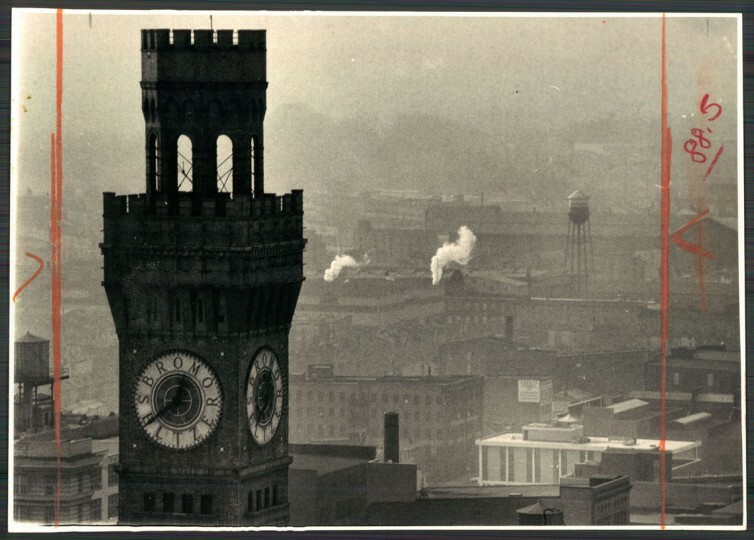 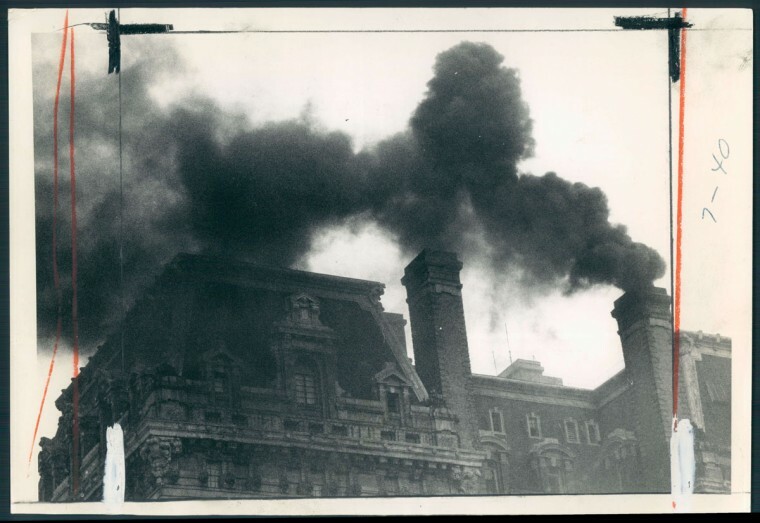 In 1931, Baltimore launched a Division of Smoke Control to tackle the problem. 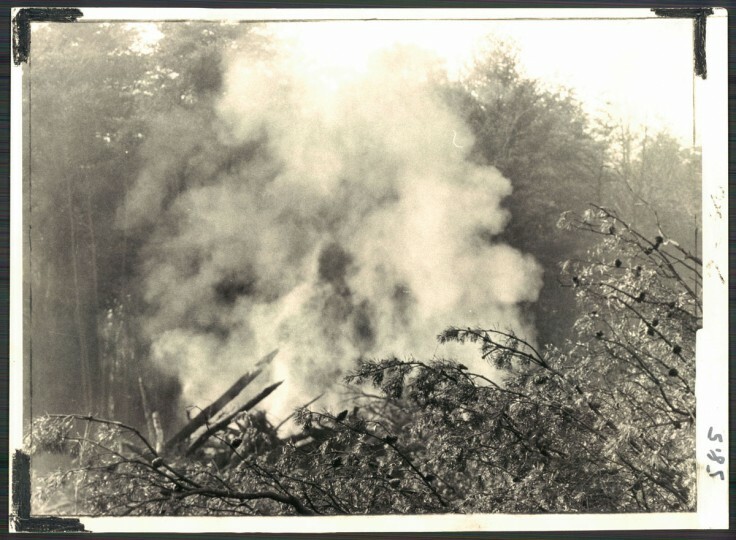 However, its impact was questionable. 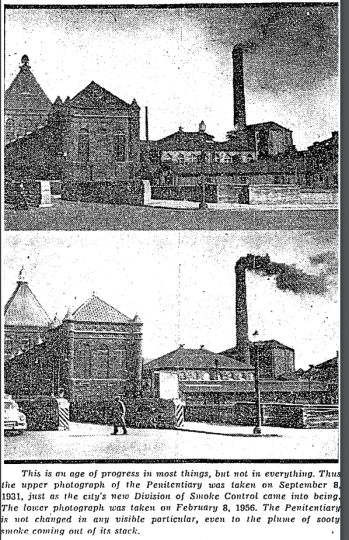 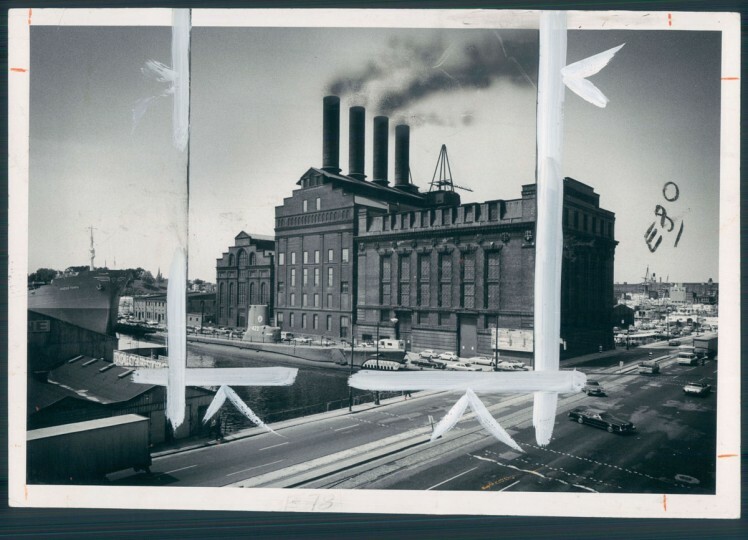 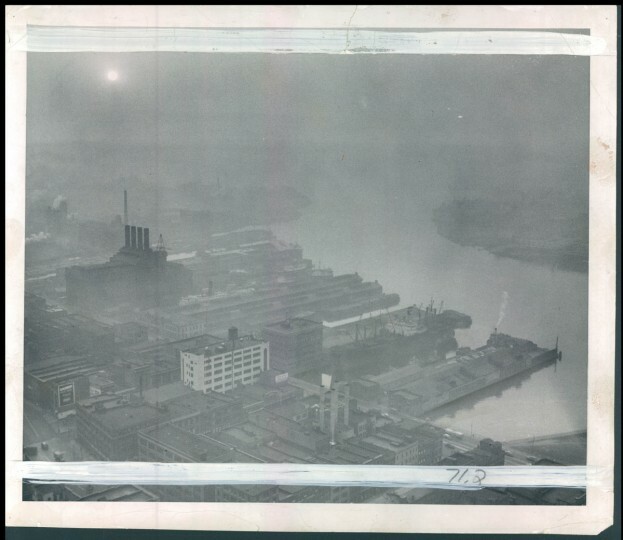 A 1956 photo in The Sun featured two photos next to each other of the Penitentiary’s smokestack — which bellowed as much pollution in that year as it had decades prior. “This is an age of progress in most things, but not in everything,” read the caption. Baltimore’s air pollution problem was made worse by its geography, and it still is today. 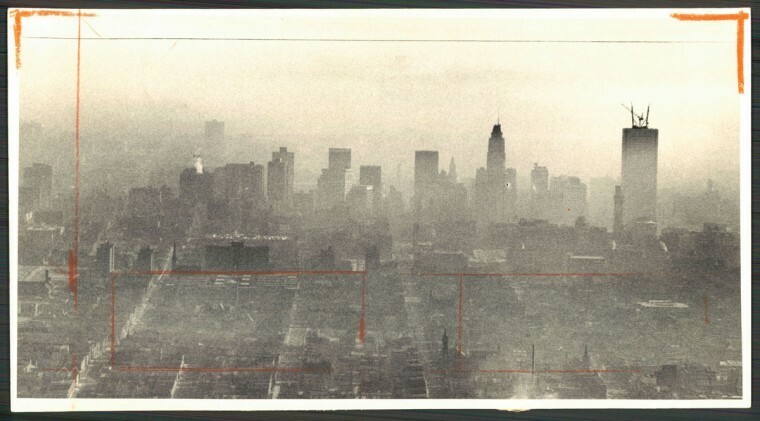 As the 1967 article explained, thermal inversions — which affect many low-lying seaside areas around the world — trapped in dirty air underneath a roof of cooler air, as if the city were sitting in a “gigantic pressure cooker.” Rather than move off to the sea, the haze stays stuck. The same is true in Los Angeles, a famously smoggy city. 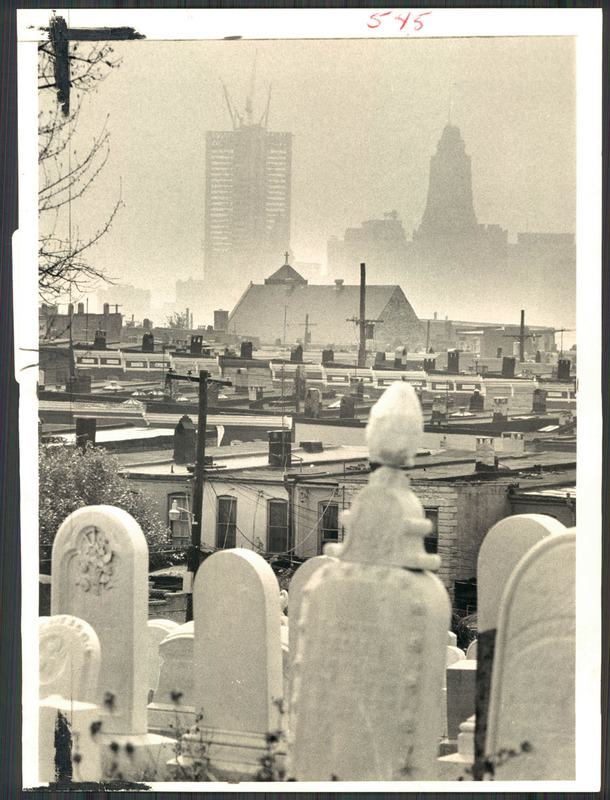 One of the clearest impacts of this in Baltimore was a high rate of bronchitis and emphysema among the city’s inhabitants. 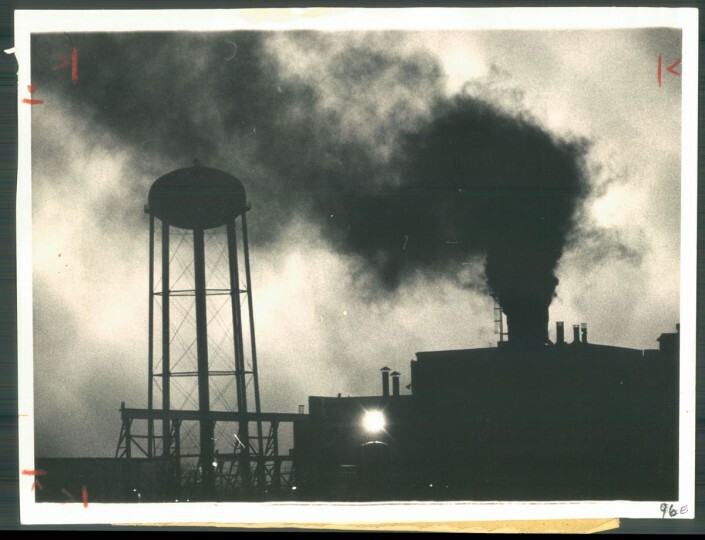 The problems have persisted into this century: a 2013 MIT study using data from 2005 found that Maryland leads the nation in emission-related deaths, and that 130 out of every 100,000 Baltimore residents per year die from long-term exposure to air pollution. 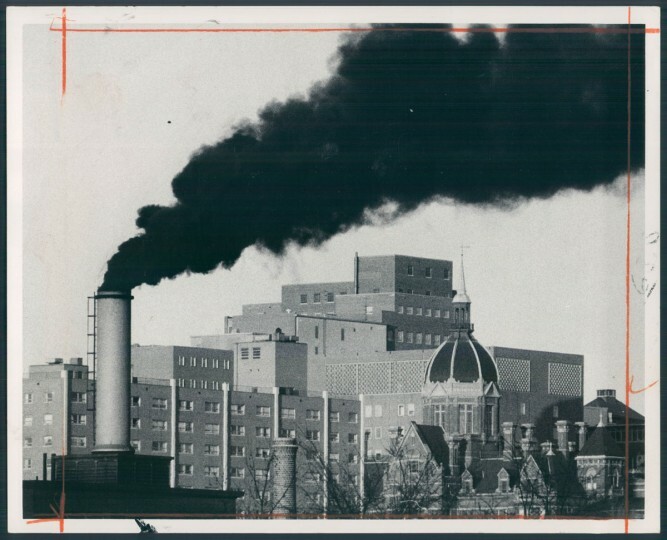 Smoke emissions in the city have declined in the previous few decades, in part due to stricter regulations established by the Clean Air Act of 1970, as well as the decline in industry. The city’s second largest air polluter, Bethlehem Steel, closed in 2003. In 2015, Baltimore met the EPA’s guidelines for ground-level ozone pollution for the first time ever. 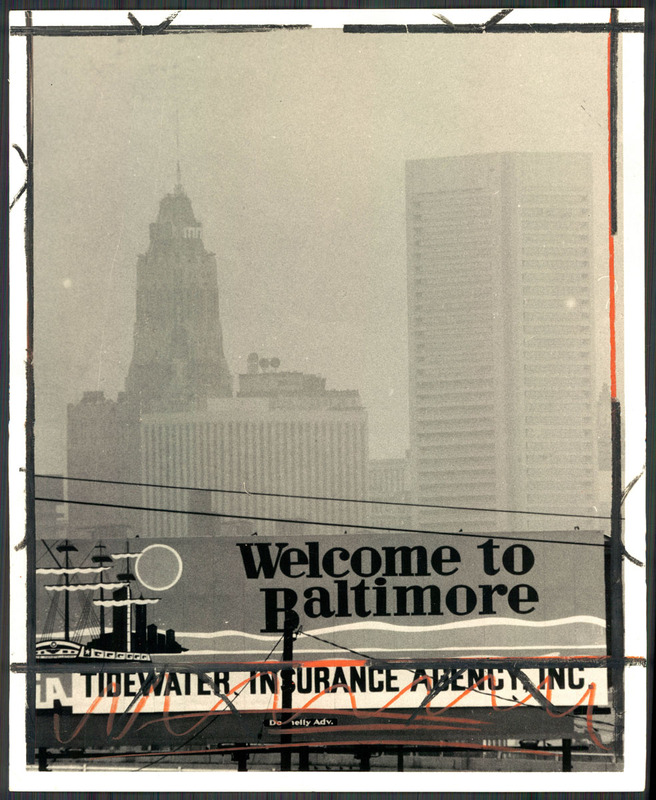 But Baltimore’s environmental future remains something of an open question. 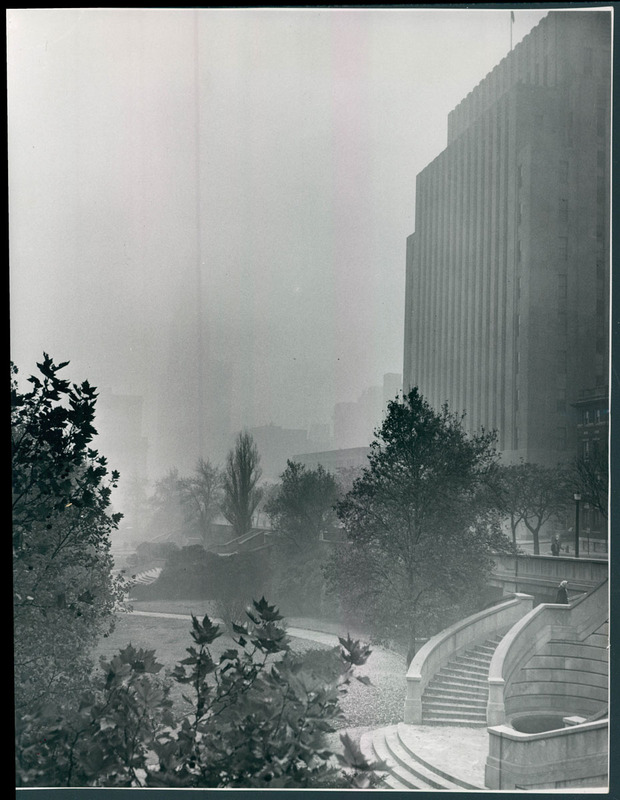 One issue is smog produced in neighboring states. 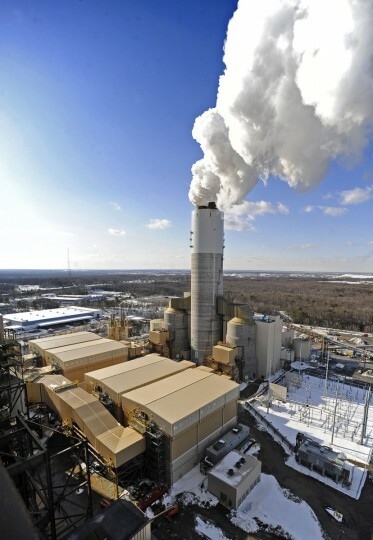 “Our research indicates that states upwind of Maryland are responsible for about 70 percent of Maryland’s air quality problem,” declared a report by the Maryland Department of the Environment. The state has petitioned the EPA to crack down on “upwind” polluters — neighboring states whose emissions travel here, but the EPA tentatively rejected the request earlier this year. 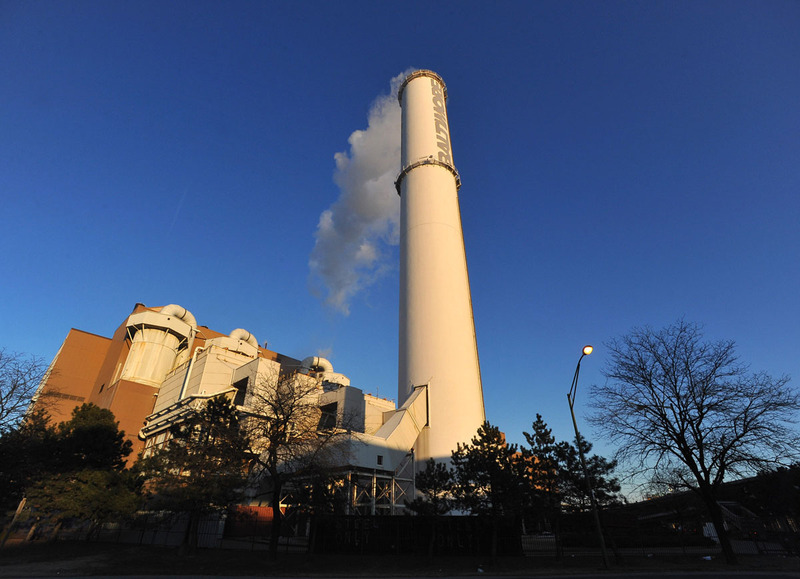 Other environmental issues are home-grown, such as the Herbert A. Wagner Generating Station in Pasadena, which environmentalists have claimed for years has released unsafe levels of sulphur dioxide, a chemical known to cause cancer and trigger asthma. 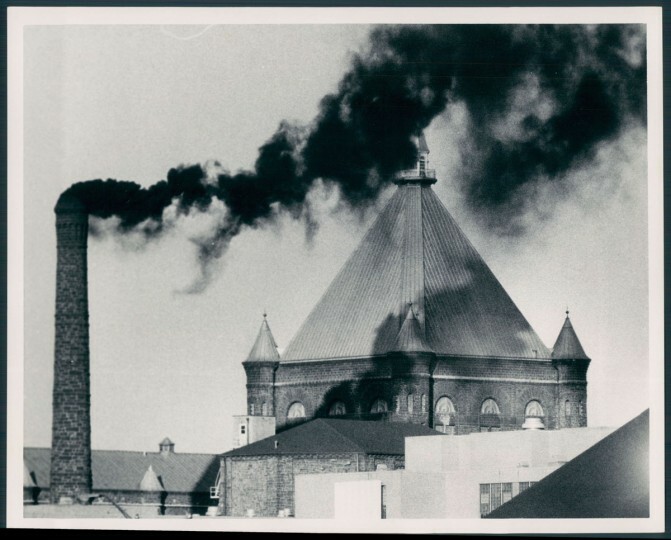 The EPA agreed. Maryland Governor Larry Hogan, however, challenged the assessment. 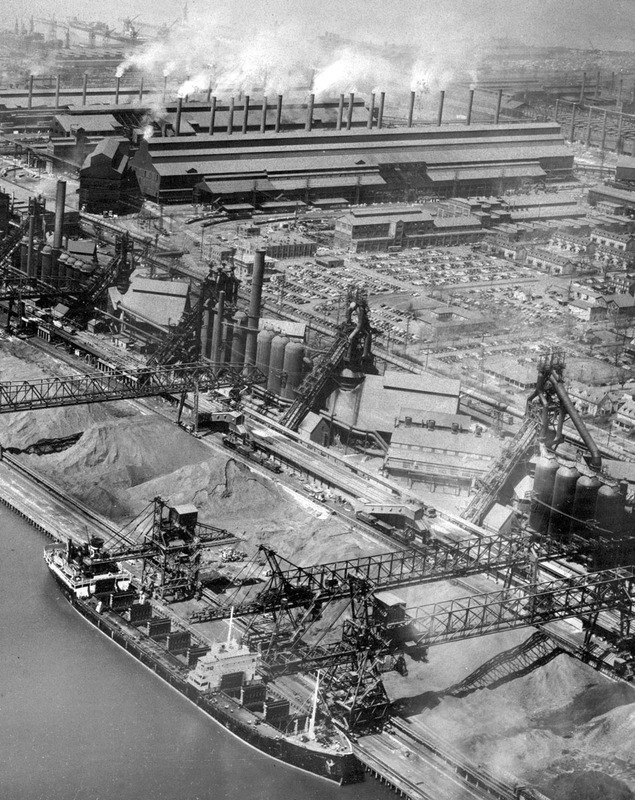 Most recently, the Trump administration has proposed cutting the EPA’s budget by 31 percent, which would curb that body’s ability to enforce regulations and crack down on polluters. Could hazy days return again?